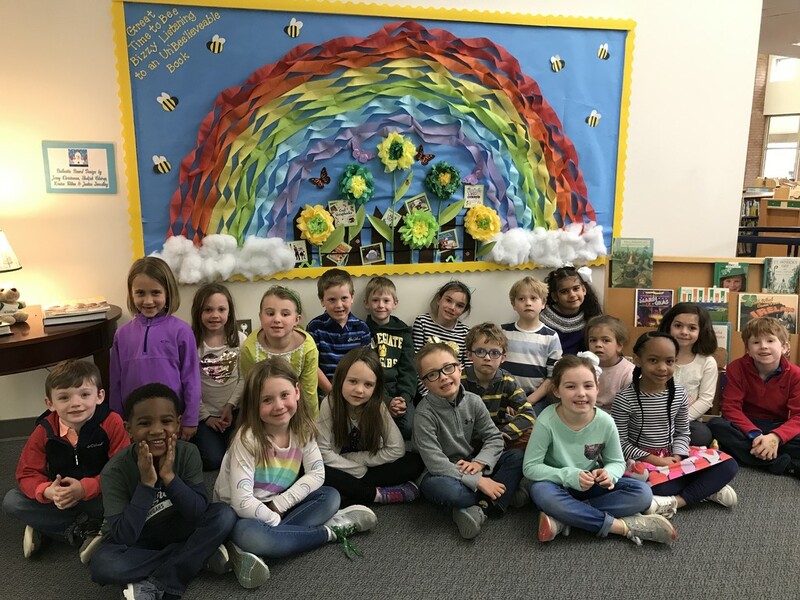 Spring is here so there is a new bulletin board in the library, and to celebrate it, a kindergarten class posed for me. The mother of one of the boys helped create the fabulous rainbow display. Beautiful effect. Love the colours. Wonderful smiles! Great bulletin board, too. Wonderful rainbow and happy looking children.